Product #20810 | SKU ST2011C | 0.0 (no ratings yet) Thanks for your rating! Used for classic recording and as on-stage close mics. The ST2011C Matched Stereo Pair of 2011C Cardioid Microphones from DPA Microphones are matched within a sensitivity of +/- 1.5dB to provide accurate sonic reproduction from both mics. Their cardioid pattern allows them to be used to obtain a variety of stereo miking techniques including XY and ORTF. They can be used for classic recording and as on-stage close mics. 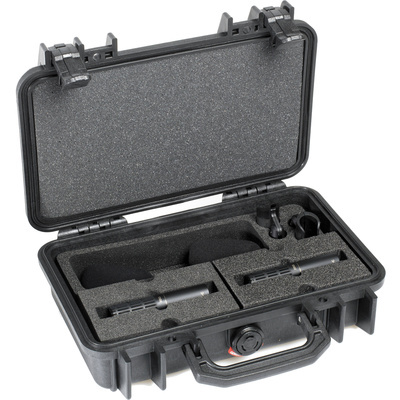 A foam-line transportation Peli case, two windscreens, two grids, and two mic holders are included.